Floral menu border at chalkboard. 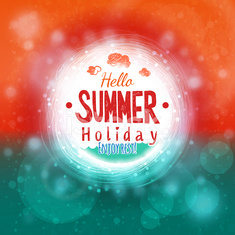 Hello summer vector illustration on blurred background. Hello summer. Vector summer illustration hand lettering.